Over 50% of colleges and universities are focused on creating more impactful donor stewardship practices in 2018. Stewardship professionals are looking to tackle this problem in a variety of ways. Some universities are working to collect more thank-you letters from students, while others are starting to share video acknowledgements with donors. However, those at the cutting edge of transforming donor stewardship are focused on leveraging technology to create more personal and authentic experiences for their donors. They are showing donors their direct impact frequently and generating enthusiasm that drives the cycle of giving. Most major donors are mentioned in a variety of places on most campuses by name. Plaques on walls and lists engraved on buildings fill campus buildings. However, most of these recognition opportunities do not provide the space to individually highlight the donor’s story and their connection to your institution, or to increase visibility to the causes they care about. These plaques and walls are also really expensive and difficult to alter. Online donor profiles are a great way to compliment on-campus recognition. Online donor profiles allow you to steward donors by highlighting their name, a photo, their story, and the impact they are hoping to make on campus. These profiles can be created in tandem with the donor (a great excuse to reach out!) and can include as much or as little as the donor is comfortable sharing. Online donor profiles can serve a variety of purposes that will support a strong stewardship program for your university. Profiles can be shared with students to help them write the most personalized acknowledgment. Donors also have something they can share with their personal network to highlight their contributions with the university. traditional collection of thank-you letters and distribution to donors has been a logistical nightmare. The right technology can not only streamline everything for you, but also improve the experience for students and donors as well! The first step is to identify individual students and programs that have been greatly impacted by the kindness of donors. Communicate with them first to help them understand the importance of donor stewardship, encourage them to be an active participant in the process, and share the potential for future funding opportunities as a direct result. During this conversation, it is also very helpful to share information about donors such as the online donor profile you have created in step #1 above. The next step is to then encourage students to document how donor funds have impacted their educational experience. Note here: we are not asking the student to just write a simple thank-you note. Many of today’s students struggle to write a traditional thank-you note. These notes end up sounding insincere and don’t get that the heart of the student’s gratitude. Instead, approach the student to share their experiences by answering specific questions. This generation loves sharing their experiences, so meet them where they are! How has <program, scholarship, etc.> impacted your education? What is a memorable moment from <program> or from this year? What do you wish to share with the individual who make this <program, scholarship> possible? Using online forms makes submission of text, photos, and/or video easy for the student. It also allows you to easily make edits or adjustments to the text before sharing with the donor. With the right technology infrastructure in place, you can also match the student submission with the appropriate funds and donor contacts without a mail merge to make donor communications much easier and efficient. Donor phone calls and inquiries can be a significant time investment. Many donors inquire about fund information or financial performance. Others may be inquiring about which student received their scholarship, if funds have been used for the intended purposed or even used at all. Sometimes this information is easily available to you, and sometimes it isn’t. Calling and emailing colleagues for answers can take a lot of time. Imagine if you had constant access to information to every fund, scholarship recipient, impact statement, and recent financial performance statement. Better yet, imagine if your donors had access to this information online so they didn’t have to pick up the phone! A big part of the digital transformation of donor stewardship is bringing together data from various departments for access both for you and your donors. More universities are adopting the idea of an online donor gateway with secure access to see everything related to their fund, exactly when they want to see it. All of this can either compliment or supplement the donor reporting process taking place on campus today! For donors without the technical ability to access information online, they can easily be sent their report in the mail through print functionality. Using technology to complete mundane tasks such as mail merges can free up some of your time to focus on the more fun and strategic parts of donor stewardship – for example, increasing the number of communications to donors about the projects and students they are supporting. Technology can be a game-changer in keeping your donors ENGAGED with the university and continuing their support. 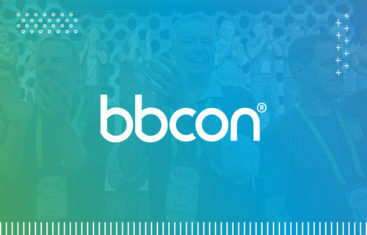 This is a hot topic and we are really looking forward to sharing more ideas and examples of stewardship success at bbcon this year. We hope you will join us! Join Brooke for her bbcon sessions “Digital Transformation of Scholarships and Stewardship” and “Thinking Beyond the Thank You: Donor Stewardship for the Future.” Register today! Brooke Grimes began her career in the nonprofit and higher education technology world in 2012 and has a strong passion for using technology to power social good. She currently serves as the Director of Marketing for AcademicWorks, Blackbaud’s scholarship management and donor reporting platform. Brooke has spoken at conferences including the National Scholarship Providers Association, the Grant Professionals Association, and the National Grants Management Association. Outside of the office, Brooke is a member of the Junior League of Austin and supports the nonprofit community in her hometown of Austin, Texas.